We, as Pakistanis, have a profound lack of empathy for individuals that suffer from a Gender Identity Disorder (GID). These individuals have, perhaps, faced the severest form of discrimination from among all the minorities in Pakistan since ages, and unless a change from within emanates, would continue to be harassed for years to come. 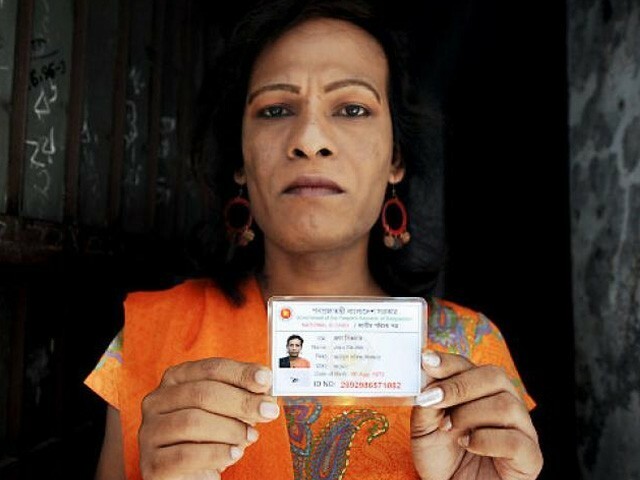 Granted, the Supreme Court ruling in 2011 has given transgender people the right to vote and to attain a National Identity Card (NIC) of their own, a right that had been denied to them for the past 64 years. However, this is only a small fraction of what is essentially needed in our society at the moment. A mere identity card has not been able to provide these individuals with the rights they deserve. Such individuals are often abandoned by their relatives and immediate families at a very early age. The ones, who aren’t, wilfully leave their houses in search for a place that would actually own them, a place they could refer to as home. Just because these individuals fail to conform to the stereotypical norms of our culture, we have reduced them down to such a level, where the only two occupations accessible to them are begging and prostitution. They are entirely helpless because of our attitude towards them. Such individuals are not even seen as waiters at restaurants or workers in construction industries, due to their ambiguous genitalia. Basic necessities such as educational institutes, job opportunities as well as medical facilities are not provided to them on the basis of them being transgender or hijras, as they are most commonly referred. 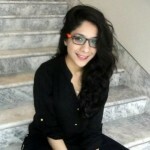 During the elections of 2013, Bindiya Rani, the President of the Gender Interactive Alliance (GIA), an organisation working for the rights as well as social justice for the transgender community in Pakistan, fought from PS-115 in Karachi. I was appalled to see that even the news of a person from the transgender community running in the elections was greeted with general ridicule and mockery. Our society has instilled this belief in our citizens that these individuals are not capable of anything beyond beggary, dancing and prostitution. As Pakistanis, we need to realise that this is not merely a war that these individuals have to fight for themselves; they are human beings, just like us, and deserve as much of a right to education and job openings as each one of us. We have the capabilities to educate our community as well as the upcoming generations to treat these individuals as regular citizens and not outcasts. These individuals have voices that are not heard by anyone. We need to be the voice that speaks on their behalf, fights for their rights and makes living for them less painful. I really appreciate that you touch this issue in your article. In my opinion, specially as Pakistani, we don’t give preferences to our issues, we live in the society where compromise is a noble thing, yes it is good to be thankful to almighty but taking everything for granted and leave it by saying “Allah Malik hey” “Inshallah, sab theek hojaega” Its not going to help.. The article gives a wrong impression that transgender people are who they are because of gender identity disorder (GID), but not all transgender people have GID. Being trans-gender, like cis-gender, is regarded as a normal condition and not a disorder, per se. People might develop GID when they are made to suppress their gender identity because it does not match their assigned gender (like a transgender woman who is forced to wear men’s clothing because of societal pressure, eventually becoming severely depressed or anxious). Always exercise caution when accusing financially-insecure, socially-rejected, barely enfranchised people of “not educating themselves”. They don’t share your privileges. We don’t want to sound elitist, do we? I haven’t gone through the whole article here (in fact not at all), but I suppose its another cliche in discussing a moral issue that subtly disguises the authors much needed infatuation to get published. Yes, there’s a dire need for the so-called educated lot to show some civility towards the Eunuchs. Having said that, I’d say that let alone them, our people don’t show general respect towards humanity, so there’s a lot to consider and achieve Zainab. Our people have not surpassed the religious differences as of now therefore, this issue is on the far edge of the list of priority of RESPECT and ACCEPTANCE. I appreciate your effort of voicing on their behalf. Of course they are as much a part of our society as are we and above all they are merely HUMANS.